The Ministry of Health joins the international community to once again celebrate World Mental Health Day this Thursday, October 10th, 2013. This year, the theme selected is, “Mental Health and Older Adults” which aims to promote healthy and active ageing through the participation of meaningful activities, maintenance of strong personal relationships and good physical health. 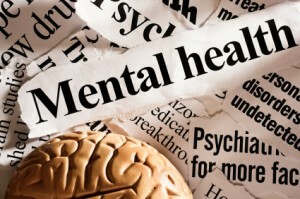 The theme also advocates for broader interventions to address the growing concern of mental health of persons 60 years and older who many times contend with loss of ability to live independently because of limited physical mobility or mental health disorders such as depression and anxiety. Additionally, many older persons worldwide contend with the effects of dementia which generally is unique to this population. Psychiatric Nurse Practitioners (PNP) from across the country have developed awareness campaigns and activities leading up to the observation of the day. Some activities include local and national media events, activities for the older persons and presentations for health care staff. An official ceremony commemorating World Mental Health Day will be held on Thursday October 10th at the Resource Center in Belize City starting at 10:30am. Also in connection with this year’s observance, the Mental Health Association will be hosting a speech competition at the St. John’s College Chapel on October 10th 1:00 pm and also the Annual Mental Health Banquet which will be held on Saturday October 12th at the Resource Center. World Mental Health Day is an annual global mental health campaign organized by the World Federation for Mental Health and supported by the World Health Organization. The aims of the annual observance are to create awareness of mental health concerns, encourage people with mental health problems to seek help, and to promote community participation in the various activities that are being held across the country.